Blackaddie Country House Hotel Restaurant with RoomsA superb small Restaurant with Rooms set in its own gardens on the banks of the river Nith, one of Scotland’s great yet little known salmon rivers and with extensive views across Scotland’s Southern Upland Way. Seven beautiful bedrooms and suites, many of which overlook the gardens or the river. There are also 2 self-contained cottages in the grounds, each with fully fitted kitchen, for those who wish to be independent. But who would when the hotel boasts food to rival the best anywhere? Far and away above what one would expect in a small tucked away country house hotel. Chef/Proprietor Ian McAndrew has held a Michelin star for many years in previous restaurants and his menus use fresh local produce with all dishes prepared on the premises, now offering 2 menus; a 5 course fine dining menu and a Gourmet tasting menu, both changing daily. Dumfries House and Drumlanrig Castle are within a short drive with Caerlaverock and Threave Castle also nearby. 2 AA rosettes. Gourmet menu; lunch & specials available. Last orders 21.00 Breakfast from 07.30. 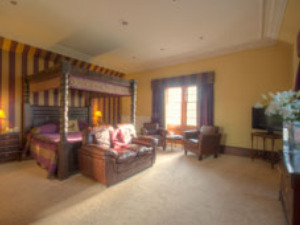 7 bedrooms and suites, plus 2 self contained cottages in the grounds each with fully fitted kitchen. Suite from £210. 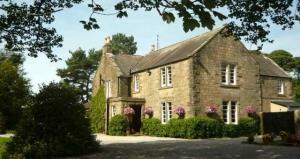 2 nights dinner, b&b from £120.00 pppn; 3 nights from £78.00 pppn. Gourmet menu & breaks available. Birdwatching, shooting, biking, walking, fishing & swimming nearby. Glasgow 45 miles and Edinburgh 70 miles. 3 AA Gold Award. Walkers & Cyclist Welcome. Open all year. AA 2 rosettes, AA****, Visit Scotland ***, Silver Award for Food from Eat Scotland, Gold Plate Hotel Review, ***** Exceptional Food Review, Winner Dinner Quality Award from Scottish Hotel Awards 2009. A superb small Restaurant with Rooms set in its own gardens on the banks of the river Nith, one of Scotland’s great yet little known salmon rivers and with extensive views across Scotland’s Southern Upland Way.